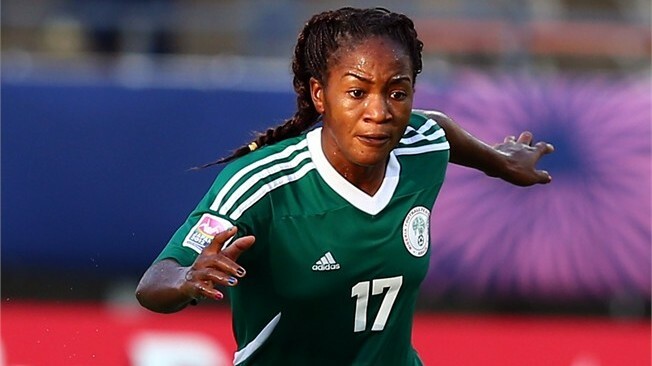 Super Falcons striker Francesca Ordega says the Lionesses of Cameroon were “like babies” the first she lined up against them, The Cable reports. She, however, said Cameroon’s senior female team is much stronger nowadays — a testament to how much women’s football has developed in Africa. Ordega, who plays her club football for Washington Spirits in the US, believes that women’s football is more competitive when compared to the past. “But now it is different, [Cameroon] were tough and hard. I’m proud that things have changed in my generation compared to how they used to be. “In the near future things are going to be different. “African countries are really improving. Before it was just Nigeria and Ghana, but now it is not just those teams. Everyone [in Africa] is coming on so much. “Trust me, in five or six years [African women’s football] is going to be different. This crowd was something else. “Even for men, you don’t often see that kind of support. The place was crazy that day, people couldn’t even get into the stadium. This was really something else, truly amazing. “I was very happy that we won in front of all the Lionesses fans. It is a different feeling altogether. Playing against Cameroon was really tough. “They are a great team, and everyone in Cameroon was supporting them. But we had a lot of professionals in our team, and we were able to count on that experience. “Also having a female coach (Florence Omagbemi) and female technical crew … the feeling was somehow different,” Ordega said. Recalling the inability of the Super Falcons to progress past the group stage of the Women FIFA World cup in Canada, Ordega said, “we lacked experience”. Ordega added that Nigeria is blessed with talented players who require proper development.